Blog AC Marmo - Page 2 of 2 - AC Marmo & Sons, Inc.
October 16, 2018 /by A.C. Marmo & Sons, Inc. Sexual Harassment — Can Put You Out of Business!!! 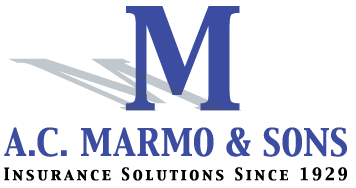 October 1, 2018 /0 Comments/by A.C. Marmo & Sons, Inc.
http://www.acmarmo.com/wp-content/uploads/2018/10/desk.jpg 668 1000 A.C. Marmo & Sons, Inc. http://www.acmarmo.com/wp-content/uploads/2018/10/AC-Marmo.png A.C. Marmo & Sons, Inc.2018-10-01 13:13:532018-10-03 13:15:51Sexual Harassment — Can Put You Out of Business!!! What exactly is a hurricane deductible? September 10, 2018 /0 Comments/by A.C. Marmo & Sons, Inc.
http://www.acmarmo.com/wp-content/uploads/2018/09/hurricane.jpg 488 1000 A.C. Marmo & Sons, Inc. http://www.acmarmo.com/wp-content/uploads/2018/10/AC-Marmo.png A.C. Marmo & Sons, Inc.2018-09-10 13:40:172018-10-03 14:41:49What exactly is a hurricane deductible? August 3, 2018 /0 Comments/by A.C. Marmo & Sons, Inc.
July 10, 2018 /0 Comments/by A.C. Marmo & Sons, Inc.
June 7, 2018 /0 Comments/by A.C. Marmo & Sons, Inc.
May 17, 2018 /0 Comments/by A.C. Marmo & Sons, Inc.
September 3, 2017 /0 Comments/by A.C. Marmo & Sons, Inc.